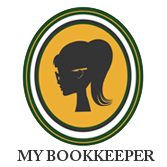 My Bookkeeper is more than an accountant. It’s a partnership that brings peace of mind, stability, and, most importantly, healthy, balanced books. With scalable package options, our services can grow with your business. From a start-up to a thriving company, we’ll be with you every step of the way.